Depression is not uncommon when living with chronic pain or illness. Life is hard. You grieve the life you had and the life you thought you were going to live. You are acutely aware of your losses—and the losses are big. They might include loss of function, loss of job, loss of friends or social activities, and much more. Depression touches everybody at some point or another, but it can be especially difficult when related to a chronic illness because it is difficult to change your circumstances to make things better. In addition to the stress of life with chronic illness, there is so much pressure in our society that contributes to depression. As moms, we feel we have to provide organic food for our kids. We think our kids need sports, scouts, tutors, and music lessons, or they won’t be well-rounded. We are expected to provide play-dates, library story time, and expensive preschools. We feel we shouldn’t get angry with our kids or raise our voices. We should always discipline in love and give plenty of hugs even when we don’t feel like it. If we don’t do all the right things, we begin to feel “less-than.” Not good enough—a failure as a mom. And if our kids have any issues, special needs, or problems, we heap a second helping of guilt onto our already-filled plate. We tell ourselves that we must have done something wrong, spoken too harshly one too many times, or maybe our chronic illness has caused difficulty for our kids. Unreasonable expectations of ourselves make life even more hard when we are just trying to survive ourselves. My own battles with depression occurred three separate times while I was in my twenties. I had always viewed depression as a spiritual and emotional failure, and I was in complete denial that I was dealing with depression until I began waking up in the middle of the night crying and unable to fall back asleep. I couldn’t eat. I didn’t know what was happening to me or why I was sad and crying. I didn’t realize until my third major depression that I would probably benefit from antidepressants. Thankfully, the antidepressants worked for me, and I began to feel better. It was a difficult time, and I had to jump over the huge hurdle of feeling like I was a failure before I could accept the treatment. First, you must realize that you are dealing with depression. Do you recognize any of the following symptoms? You might be experiencing pervasive sadness, irritability, feelings of hopelessness or worthlessness, difficulty eating or eating all the time, difficulty sleeping or sleeping all the time, frequent crying for unknown reasons, or thoughts of hurting yourself. Next, see if you can identify the cause. Is it loss of job or function due to chronic illness? Is it continual, unrelenting pain? Is it grief or loneliness because of lost friendships or marriage? It may be a combination of things, but if you can identify some of the root causes, then you can begin to address the underlying issues. You must let yourself feel the hurt and grief due to your chronic illness and/or circumstances. Dealing with the emotions and allowing yourself to cry or be angry is very important. These are normal emotions and need not be viewed as scary. It is okay to let yourself feel the normal emotions that come with your particular situation. Grief takes time to process, so try not to tell yourself that you should be stronger or that you should be over this. Let yourself feel the emotions, however difficult that may be. Identify a plan for working your way out of your depression. Having a plan will give you hope. Your plan may include antidepressants, counseling, changing a difficult circumstance (if you can), reaching out to friends, finding treatment for pain, exercising, and planning fun activities. Sometimes you literally have to force yourself to put one foot in front of the other. It is hard, but not impossible. It may take several weeks before medicine begins to work, and you may have to try one or more antidepressants before you find the one that works for you. Sometimes antidepressants can have the opposite action and make you feel worse, so if that happens, see your doctor right away so you can get off the medicine safely and try something else. Hold on to real hope. I found my strength and hope by looking to God for it, and you can too. We try to be strong. We try not to need anybody. We think we have to do this on our own, but we don’t. It is okay to need others and to look outside of ourselves for hope. God tells us that He is able to work all things out for good in our lives, even the hard things! (Romans 8:28) There is so much hope in that realization! The difficult things can bring good in our lives! We can grow stronger. We can help others who are going through similar things. (2 Corinthians 1: 3-4) We can be an example to our children of how to make it through difficulty. This is real hope! Hope of feeling love again when we don’t feel lovable! (John 3:16) Hope of finding forgiveness when we feel unforgivable! (1 John 1:9) Hope of light when the darkness is all we see! (2 Samuel 22:29) Hope of strength when you feel weak! (Philippians 4:13) Hope of joy when you can’t find any reason to be happy! (Nehemiah 8:10) Look these verses up in your Bible, write them on notecards, and post them all over your house so that you can be constantly reminded of truth and hope. So many times we try to look to other things instead of God for our hope. God’s hope is intangible and is not found in earthly things. Not in our husbands. Not in our children. Not in our accomplishments. God’s Son Jesus is a friend who is faithful even when we don’t deserve it. (Hebrews 13:5) He loves us even when we blow it. (Psalms 13:5) He provides help when other resources are gone. (Hebrews 13:6) He is a strong tower to anyone who wants to run to Him to find safety. (Proverbs 18:10) I encourage you to prove these truths to yourself by coming to Him and reading the Bible whenever you feel you can’t make it. Read Psalms (in the middle of the Bible) both morning and night. Read about Jesus in the first few books of the New Testament, and get to know this God who loves you. The Bible goes on to say in this passage in Isaiah 53 that Jesus took our sins and wrongdoings away from us, placed them on Himself, died for our sins even though He was sinless, interceded for us before God, and He now enables us to be called worthy to come before a perfect God. Why would anyone do that for someone else? Only pure, devoted love. That is the kind of love that God has for us. In our hurt and frustrated lives, we tend to blame God for the bad things in our lives. But in reality, God loves us. (Psalms 31:21-22) And that, my friends, is why we can come to God for all our needs. That is why He is trustworthy. That is why we can place in Him all of our hopes and dreams and trust Him with our very lives. Do you already know Jesus but have forgotten how He loves you, how sufficient He is, and that you can run to Him with every need? God says, “Come to me all you who are weary, and I will give you rest.” (Matthew 11:28) Why don’t we come to God when we need it? Are we too busy? Perhaps angry at God for things out of our control? Are we trying to be strong and do it on our own? Or do we feel too ashamed to come to Him for something that He wants to forgive us for and free us from? Let’s ask God to help us put those things aside for now and come to Him instead of trying to do it on our own. We don’t have to live that way. We are loved, and we are never alone when we are trusting in God. You saw this post first at God-Living with Chronic Illness, a website dedicated to bringing hope and encouragement to those living with chronic pain or illness. The author and God-Living with Chronic Illness do not receive any reimbursement for any references to people, resources, or websites mentioned above. The above information should not be misconstrued as medical advice or take the place of the recommendations of your physician or mental health counselor. You may pass this information along via social media if it will benefit others, but please always give credit to the author. Hi! 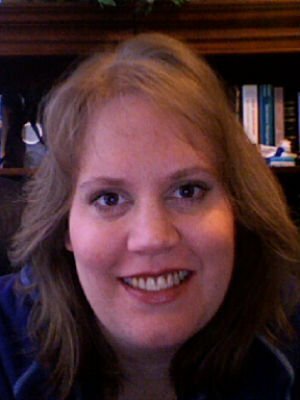 I am Laurie, a mom, wife, nurse, and patient with fibromyalgia. My passion is to help and encourage those with chronic pain or illness. 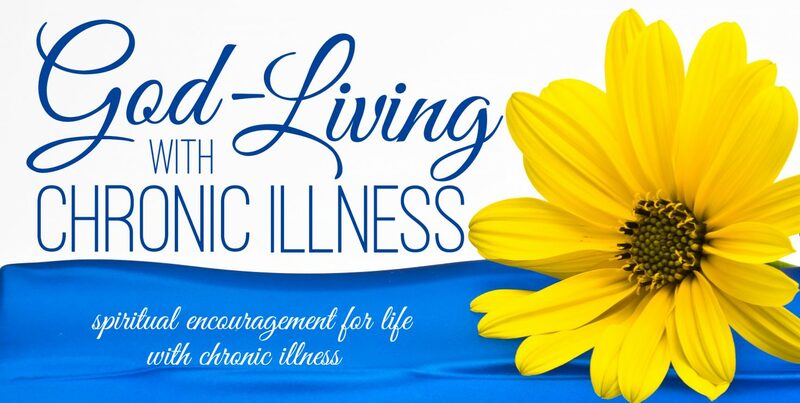 I hope you will join me on Facebook or at the God-Living with Chronic Illness website for resources and encouragement. Welcome! This entry was posted in Dealing With Emotions and tagged antidepressants, Chronic illness, chronic pain, coping, counseling, Depression, help, Suicide. Bookmark the permalink.